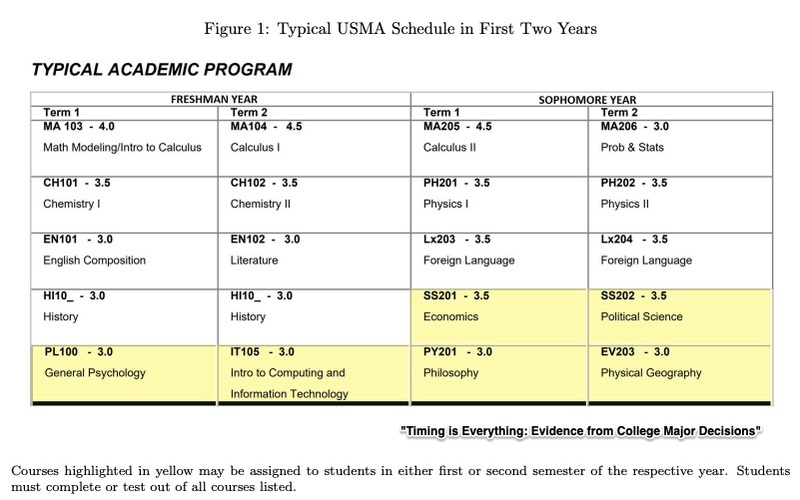 Why we choose a college major is less obvious that we think. Where are we going? To the hidden incentives that shape our big decisions. In another study, time made a difference because students were tired. 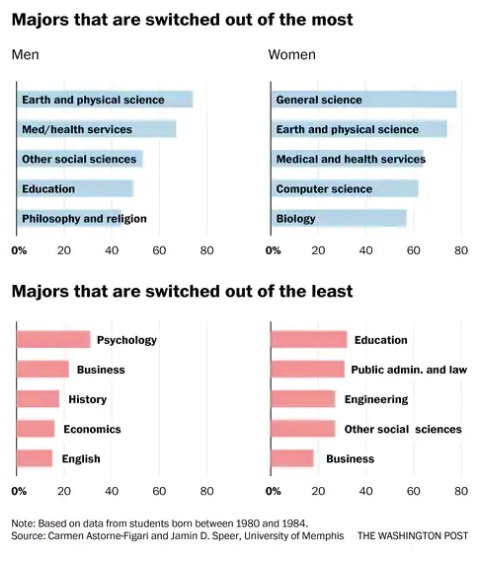 Courses taken at 7:30 a.m. were less popular majors. So too were those scheduled later during the day after a particularly demanding schedule–like back-to-back classes. It is also possible that the major we initially select does not work out. Here, a mismatch affects our final destination. People who leave for low grades could select an easier major. Those who dislike competition could move where there is less. And someone who wants a different culture could go to a very similar alternative course of study. Nursing, for example, is one destination chosen by women who leave a STEM major. Sometimes big decisions can be shaped by little incentives. As economists we like to think that our decisions are based on a rational consideration of tradeoffs. Really though, ranging from college majors to marriage, what we decide might also relate to timing, fatigue, and a previous mismatch. My sources and more: Thanks to Marginal Revolution for alerting me to The Washington Post article on college majors. Then, if you want to read more, here, here, and here are the papers on which the news articles were based.